We know all about self-pampering and treats, but with the holiday season arriving, it’s time to share some goodies with your family and loved ones! This holiday, P&G (home to brands such as Gillette, Oral-B, Olay, Herbal Essences and more) is making sure no one in the family gets left out for Christmas gift shopping, so you’ll have something for everyone. The best part is, you know these won’t wind up in the storeroom collecting dust — after all, everyone needs to brush their teeth right?? A good gift is one that’ll be used, so you deserve high praise for these! To start off the list, we have the Limited Edition Gilette ProFusion Gift Set for all dads out there. It features 1 Razor Handle, 1 Razor Stand, and 7 Refill Cartridges. The ProFusion Razor is famous for its lubricated blades and Flexball Technology that makes maximum contact over contours and gets every strand of hair with great precision. Well…they didn’t call it “The Best a Man Can Get” for nothing! Next up on the list, we have the Olay Regenerist Miracle Duo Gift Set! Your mum and aunts will thank you for this. This gift set comes with the Olay Regenerist Miracle Boost Youth Pre-Essence and the Olay Micro-Sculpting Cream. The lightweight essence helps to boost skin renewal while the Sculpting Cream (Olay’s most advanced anti-aging cream!) helps with firming and reducing wrinkles. Who doesn’t love soft and free flowing hair? As long-haired girls, we all know the problems of dealing with the frizz and tangles in this humidity. If you have a sister who combs her hair with a tangle teezer every 30mins, you know what to get her this Christmas! 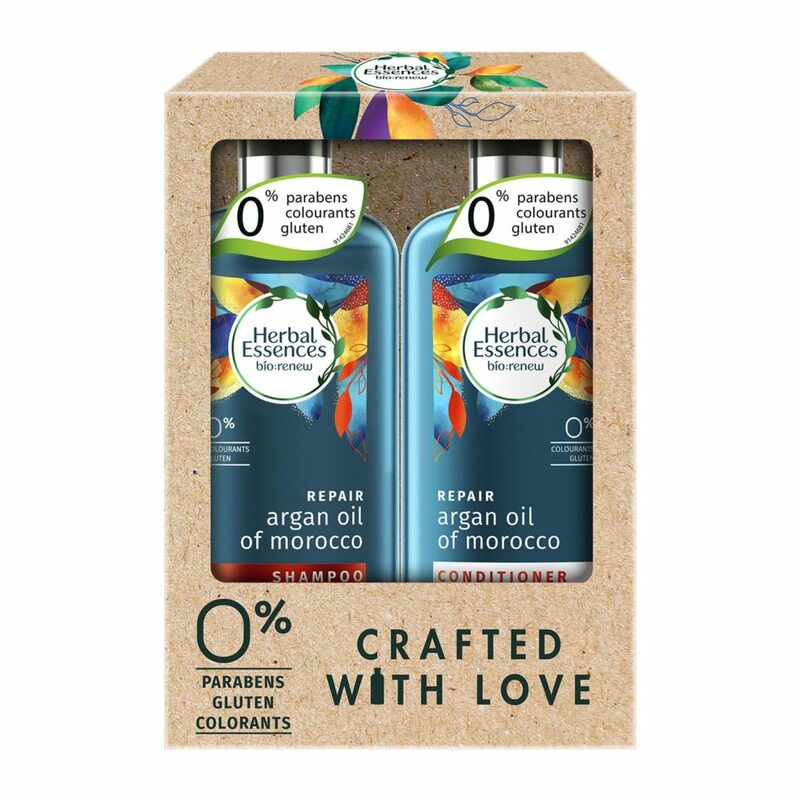 The Herbal Essences Bio:Renew Repair Argan Oil of Morocco Gift Set features a 400ml bottle of Shampoo and Conditioner. The specially crafted Bio:Renew, is a signature blend of essential antioxidants, aloe and sea kelp. What’s even better? It is safe for colour-treated hair and has 0% colourants, parabens, and gluten! We all know an aggressive teeth-brusher in the family…with their split toothbrush bristles that resembles a pineapple top. It is time to show them how it’s done with the Oral-B PRO 500 Power Toothbrush. 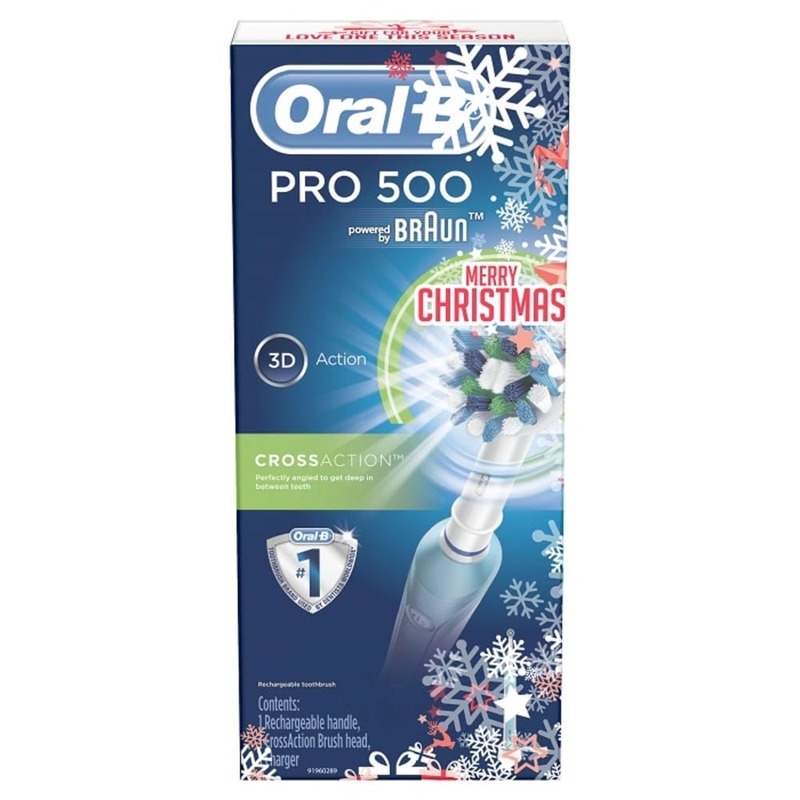 The Cross Action toothbrush head surrounds each tooth with bristles angled at 16 degrees with the 3D cleaning action that oscillates, rotates and pulsates to remove 100% more plaque than a regular manual (aggressive or not) teeth brushing! Available at all leading retailers (online and offline) including FairPrice, Watsons, Guardian, Giant, Cold Storage, Redmart and more. Refer to in-store for more details.